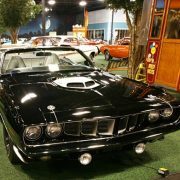 The Plymouth Barracuda is a car that was manufactured by the Plymouth division of the Chrysler Corporation from 1964 through 1974. Automotive trends in the early-mid 1960s had all the US automakers looking at making sporty compact cars. Chrysler’s A-body Plymouth Valiant was chosen for the company’s efforts in this direction. Ford’s Mustang, gave this type of vehicle its common “pony car” moniker, but in fact the Plymouth Barracuda fastback’s release on 1 April, 1964 beat the Mustang by two weeks. Plymouth’s executives wanted to name the car Panda, an idea unpopular with the car’s designers. In the end, John Samsen’s suggestion of Barracuda was selected. 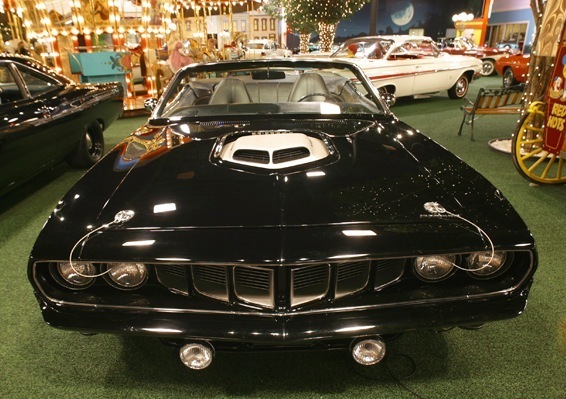 The Barracuda used the Valiant’s 106 in wheelbase and the Valiant hood, headlamp bezels, windshield, vent windows, quarter panels and bumpers; all other sheetmetal and glass was new. This hybrid design approach significantly reduced the development and tooling cost and time for the new model. The fastback body shape was achieved primarily with a giant backlight, which wrapped down to the fenderline. 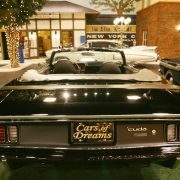 Pittsburgh Plate Glass (PPG) collaborated with Chrysler designers in producing this 14.4 sq. ft (4.4 sq. m) rear window, the largest ever installed on a standard production car up to that time. The Barracuda was able to return the Valiant’s favor the next year, when the fenders and taillamps that had been introduced on the 1964 Barracuda were used on the whole 1965 Valiant range except for the wagon, which got its own taillamps. Powertrains were identical to the Valiant’s, including two versions of Chrysler’s legendary slant-6, a 170 cubic in (2.8 L), 101 hp (75 kW) version and an optional 225 cubic in (3.7 L), 145 hp (108 kW) version. An all-new, compact, lightweight 273 cubic in (4.5 L) LA V8 producing 180 hp (134 kW) with a 2-barrel carburetor was the top engine option for 1964, so performance at first was modest. 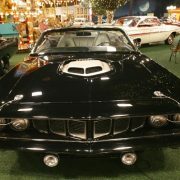 The Barracuda sold for a base price of $2,512 (USD). 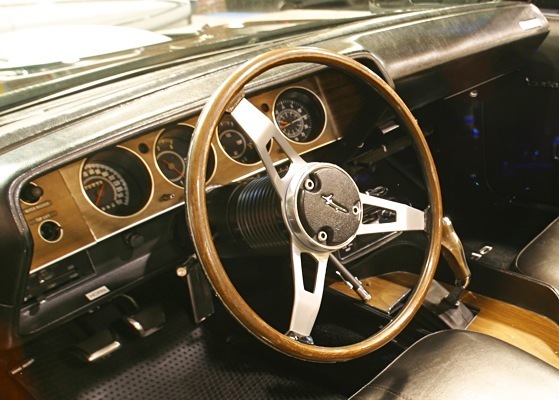 1964 was not only the first year for the Barracuda, but also the last year for pushbutton control of the optional Torqueflite automatic transmission, so 1964 models were the only Barracudas so equipped. In 1965, the 225 slant-6 became the base engine in the US market, though the 170 remained the base engine in Canada. Significant options were introduced as the pony car race heated up: There was a new Commando version of the 273 engine, with a 4-barrel carburetor, 10.5:1 compression, a more aggressive camshaft with solid tappets, and other upgrades which increased output to 235 hp (175 kW). 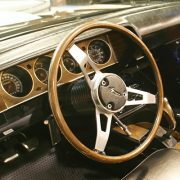 And, there was the Formula ‘S’ package, which included the Commando V8, upgraded suspension, larger wheels and tires, special emblems, and a standard tachometer. Disc brakes and factory-installed air conditioning became available after the start of the 1965 model year. For 1966, the Barracuda received new taillights, new front sheetmetal, and a new dashboard. The latter had room for oil pressure and tachometer gauges on models so equipped. The 1966 front sheetmetal, which except for the grille was shared with the Valiant, gave a more rectilinear contour to the fenders. Deluxe models featured fender-top turn signal indicators with a stylized fin motif. The bumpers were larger, and the grille featured a strong grid theme. 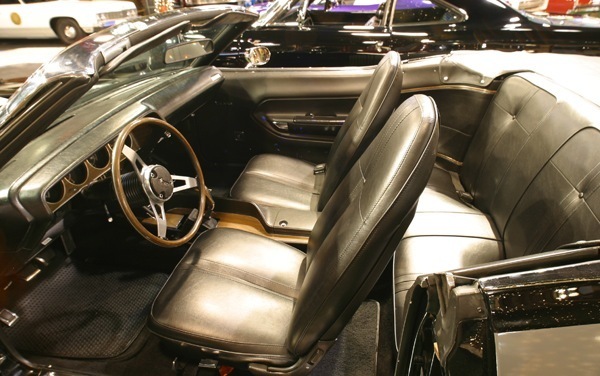 A center console was optional for the first time.Although the first Barracudas were heavily based on the contemporary Valiants, Plymouth wanted them perceived as a distinct models. Consequently, the “Valiant” chrome script that appeared on the 1964 model’s trunk lid was phased out on the 1965 model in the US market. For 1966, a Barracuda-specific stylized fish logo was introduced as the car’s own emblem, though in markets such as Canada and South Africa, where Valiant was a marque in its own right, the car remained badged as Valiant Barracuda until the A-body Barracuda was discontinued after 1969. The Barracuda would influence other designs in Chrysler’s stable. Across the Atlantic Ocean, Chrysler’s United Kingdom company, the former Rootes Group, developed the Hillman Hunter-based Sunbeam Rapier Fastback coupe for 1967, which bore distinct similarities to the profile of the 1964-66 Barracuda, although the designer of the Rapier, Roy Axe, denied any direct connection. The second-generation Barracuda, though still a 108 in wheelbase A-body sharing many components with the Valiant, was fully redesigned with Barracuda-specific styling and its own range of models including convertibles and fastback and notchback hardtops. The new Barracuda was less rectilinear than the Valiant, with coke-bottle side contours and aggressively designed front and rear end styling. Design cues a concave rear deck panel; wide wheel openings, curved side glass, and S-curved roof pillars on the notchback. The fastback had a streamlined rear roof. The back glass had a substantially horizontal rake angle, and was significantly smaller than the 1964-66 back glass. The amount and conspicuity of chrome trim was restrained. The phased introduction during this timeframe of the first US Federal auto safety standards provide the means to discern the model year of a second-generation Barracuda: the 1967 models have no sidemarker lights or reflectors, the 1968 models have round sidemarker lights without reflectors, and the 1969 models have rectangular sidemarker reflectors without lights. As the pony car class became established and competition increased, Plymouth began to revise the Barracuda’s engine options. While the 225 slant-6 was still the base engine, the V8 options in 1967 ranged from the 2-barrel and 4-barrel versions of the 273 to a seldom-ordered 383 cubic in (6.3 L) “B” big-block, the latter available only with the Formula S package. In 1968 the 273 was replaced by the 318 cubic in (5.2 L) LA engine as the smallest V8 available, and the new 340 cubic in (5.6 L) LA 4bbl was released. For 1969, Chrysler’s largest V8, the 440 cubic in (7.2 L) RB big block with 4-barrel carbureted in 1969 became available. 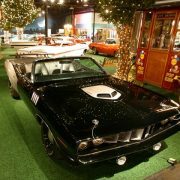 There was even a limited production of 50 Super-Stock, non-street legal, Hemi-powered Barracudas (and 50 Hemi Dodge Darts) built in 1968 for use in drag racing. 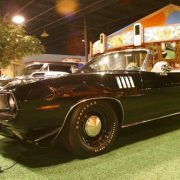 With fiberglass hoods and front fenders and light steel doors, these Hemi-powered Barracudas were capable of quarter-mile times of under 11 seconds at top speeds of over 130 mph. For the South African export market, a 190 bhp (140 kW) high-performance version of the 225 slant-6 called Charger Power was offered with 9.3:1 compression, a 2bbl carburetor, a more aggressive camshaft, and a low-restriction exhaust system. A handful of spinoff Savage GTs were also built, from the second generation Barracuda. In 1968, a new option was the Mod Top, a vinyl roof covering with a floral motif. 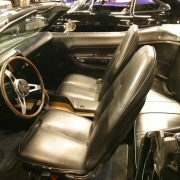 Plymouth sold it as a package with seat and door panel inserts done in the same pattern.Also in 1968, Chrysler made approxmatly 50 fastback Barracudas equipped with the 426 Hemi.These cars were assembled by Hurst Performance and were strictly for use as drag race cars in the super stock class. These cars featured lightweight items such as thin Corning side glass, fiberglass front fenders and hood with scoop, lightweight seats and all sound deadener and other street equipment omitted. 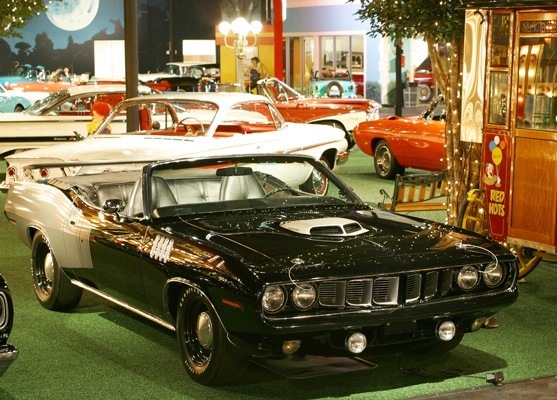 Today,original Hemi super stock Barracudas (and similarly configured Dodge Darts) are highly prized collector vehicles, with original unaltered cars commanding high prices. in 1969, Plymouth placed increased emphasis on providing and marketing performance. 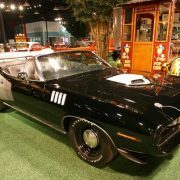 The 383 engine’s output was boosted to 330 bhp, and a new trim package called ‘Cuda was released. 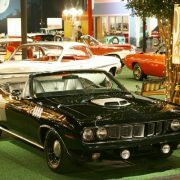 The ‘Cuda was based on the Formula S option, and could be had with either the 340 or the 383 V8. 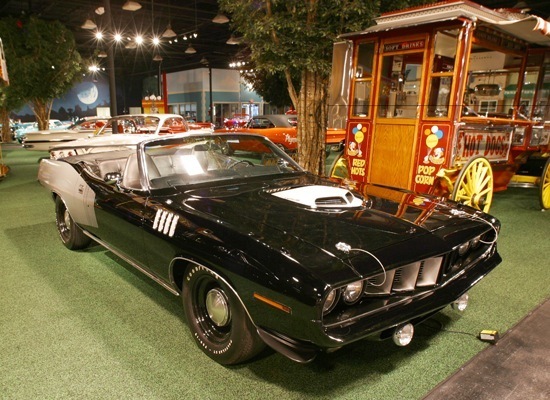 For 1970, the Barracuda lost all commonality with the Valiant. 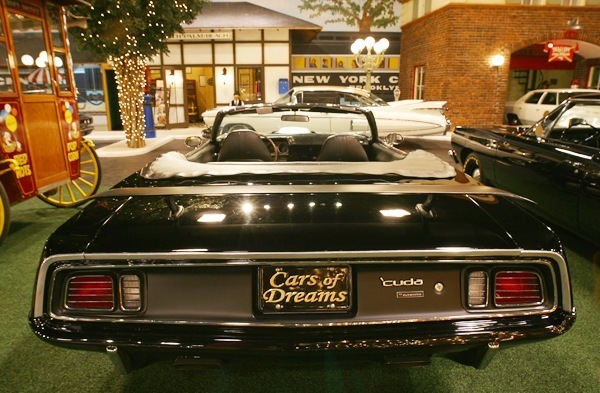 The all-new 1970 model was built on a shorter, wider version of Chrysler’s existing B platform, called the E-body. The fastback was deleted from the line, which now consisted of coupe and convertible models. 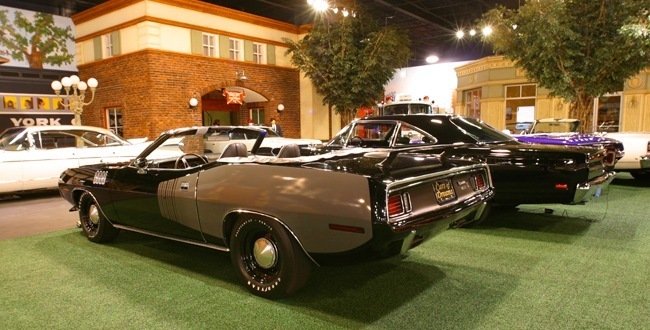 There was also a Dodge near-twin known as the Challenger; however, no sheet metal interchanged between the two cars, and the Challenger had a slightly longer wheelbase. 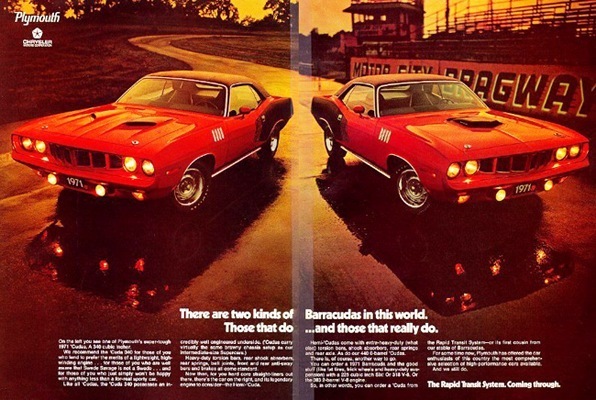 Both were aggressively styled, and the high-performance models were marketed as ‘Cuda. The E body’s engine bay was larger than that of the previous A-body, facilitating the release of Chrysler’s 426 cubic in (7.0 L) Hemi for the regular retail market. Two six-cylinder engines were available – a new 198 cubic in (3.2 L) version of the slant-6, and the 225 – as well as six different V8s: the 318, 340, 383, 440-4bbl, 440-6bbl, and the 426 Hemi. available. The 440- and Hemi-equipped cars received upgraded suspension components and structural reinforcements to help transfer the power to the road. 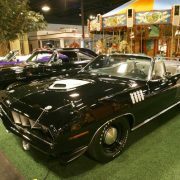 Barracudas were available with decal sets, hood modifications, and some unusual “high impact” colors such as “Vitamin C”, “In-Violet”, and “Moulin Rouge”. Race car drivers Swede Savage and Dan Gurney drove identical factory-sponsored AAR (All American Racers) Cudas in the 1970 Trans-Am Series, with great promise (3 poles), but little success (0 wins). The street version AAR Cudas were equipped with the 340 cid “six pack” (three two-barrel carburetors). 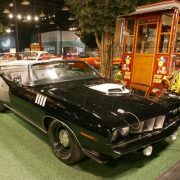 With the 440-6 and 426 Hemi, the straight-line performance from regular production Barracudas became legendary. The 1/4 mile times for were in the vicinity of 13.7 seconds @ 103 mph to 13.4 s @ 108 mph (174 km/h) – both among the fastest times of the day. However, this sort of performance came at a price: the road tests of the day noted the cars’ cramped, uncomfortable passenger compartment and extremely limited luggage capacity. Poor handling and braking were also common complaints, particularly with the larger, heavier engines. 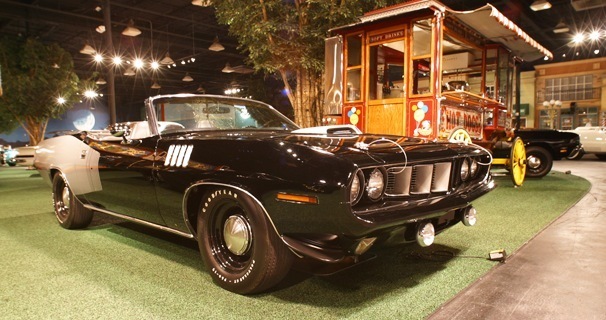 The Barracuda was changed slightly for 1971, with a new grille and taillights. 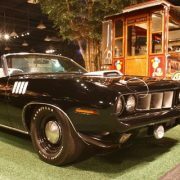 This would be the only year that the Barracuda would have four headlights, and also the only year of the fender “gills” on the ‘cuda model. 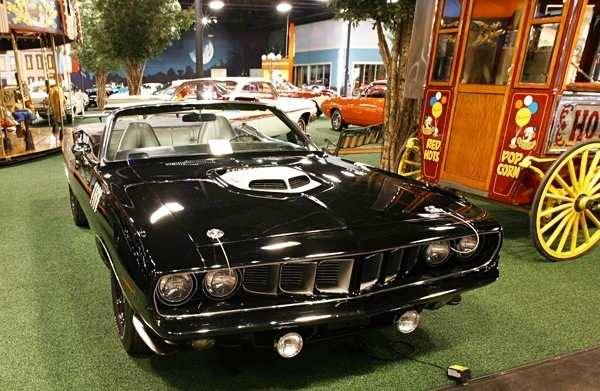 The 1971 Barracuda engine options would remain the same as that of the 1970 model, except the 4-barrel carbureted 440 engine was not available; all 440-powered Barracudas had a six-barrel carburetor setup instead. 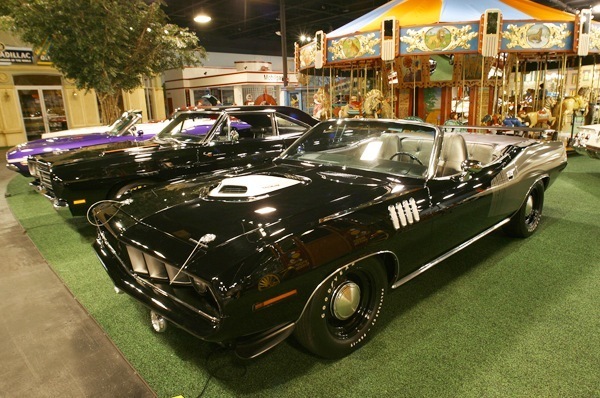 The 426 Hemi option would remain, and the Hemi-powered 1971 Barracuda convertible is now considered one of the rarest and most desirable collectible automobiles. Only twelve were produced (7 American, 3 Canadian, 2 European), selling for US$2,000,000 or more each.In 1970 and 1971, two significant options were available: the shaker hood and the Spicer-built Dana 60 rear axle. 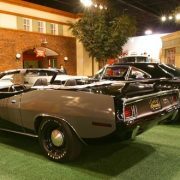 The shaker hood was available with 340, 383, 440-4bbl and 440-6bbl, and 426 Hemi engines. The heavy-duty (and heavy) Dana 60, with a 9-3/4 in ring gear, was standard equipment with manual transmissions and 440-6bbl and 426 Hemi engines, and was optional on those with the automatic transmission. All engines were slightly detuned and the compression reduced to accommodate the new low-lead gasoline. 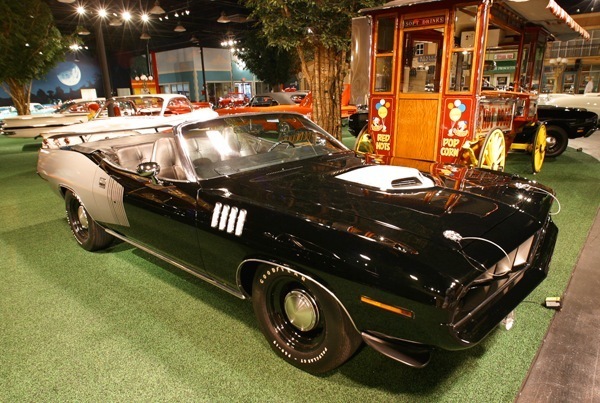 After another grille and taillight redesign in 1972, the Barracuda would remain unchanged through 1974, with dual headlights and four circular taillights. But as with all other vehicles of the time, these years saw a progressive decrease in the Barracuda’s performance due to the loss of big block engine options, and tightening safety and exhaust emission regulations. Engines were detuned year by year to reduce exhaust emissions, which also reduced their power output. At the same time, bumpers grew larger and heavier and heavy steel side-impact protection beams were installed inside the doors for 1973. By 1974, only the 318 and 360 engines were available. 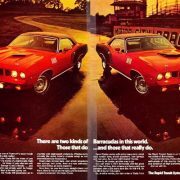 Higher fuel prices and performance-car insurance surcharges deterred many buyers as the interest in high performance cars waned; sales had dropped dramatically after 1970, and Barracuda production ended April 1, 1974, ten years to the day after it had begun. A 1975 Barracuda was planned before the end of the 1974 model year. Plymouth engineers sculpted two separate concepts out of clay, both featuring a Superbird-inspired aerodynamic body, and eventually reached a consensus upon which an operational concept car could be built. 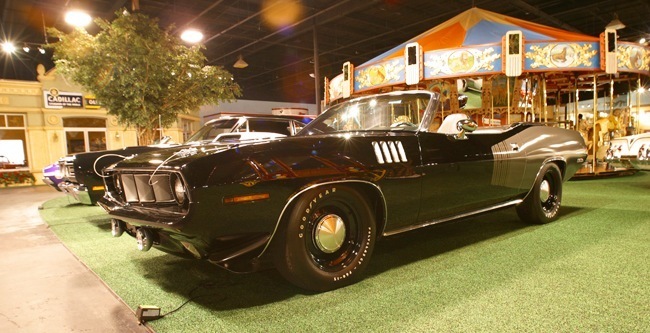 Due to a rapidly changing automotive market, the concepts were scrapped before the 1975 Barracuda would roll off the production line. 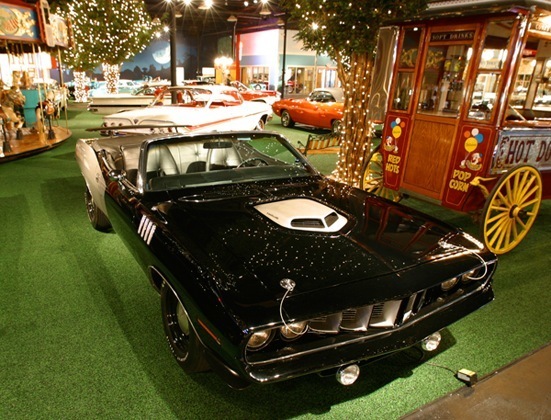 The Barracuda is today among the most valuable of muscle cars sought by collectors, although the rarity of specific models and option combinations today is largely the result of low buyer interest and production at the time.